Niokobok: On partage, we share. A really good friend of mine posted an article on my facebook wall a few days ago detailing the problems with traditional microfinance. The article contended that microfinance was not able to yield the results for which it was aimed: elimination of poverty. It is no lie that borrowers have not benefited under traditional microfinance platforms. When microfinance loans are being served to the poorest of the poor at 20-25% interest rate, there is something wrong with the picture. However, even though it may seem the lenders are those who are benefiting from exorbonent interest rates, it is not always the case. Under the traditional microfinance platform, a lot of money is spent on the traditional team of loan officers. The loan officers are those who check to see if the clients are loan-worthy as well as follow up with clients who are having problems paying their loans. All-in-all its these expenditures which cause the interest rates of the poorest of the poor to be very high. How can this system expect to be a poverty alleviator? Now it is time that we shake up the traditional model of microfinance. I have spent the last two years in support of Zidisha's peer-to-peer mission. Zidisha is the first microfinance organization to be purely online, without expensive offices and loan officers. The team is a group of dedicated individuals (like myself!) who are a mixture of volunteers and interns. The only costs encountered by the platform are the costs for web design, the salary of the four paid staff members (the director and the web designers), and the costs of communication (text messaging and the occasional phone calls). Zidisha removes the cost of the middle man to benefit their borrowers. Recently Zidisha has slashed their interest rates to just 5% in effect to eliminate the potential of profit making for lenders. This is in effect why we do what we do at Zidisha and why I am here in Dakar for my second summer with the non-profit. Zidisha is slowly gaining recognition for its new approach to microfinance but there is still much work to be done on the ground. I will keep you posted with updates via this blog. Not Just One But TWO Celebrations! Wow! How the rest of the summer flew by and now it is only November! I apologize I never wrote a good, reflective piece recounting the rest of my summer. Now the summer is long gone and I am returned home in the cold United States. My hometown is in Pennsylvania but I am currently located in Athens, Ohio, where I am attending Ohio University to study for a masters in International Development Studies. 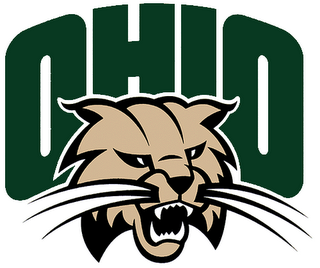 Ohio University's mascot is the Bobcat, which is pictured below. My time in Senegal was winding down by the end of July, when I last posted. The last few weeks of my time in Dakar flew by quickly! The end of July marked the end of the Ramadan time of fasting for Muslims. We then celebrated Korite, which marked a time of busy tailors and jammed-packed markets. It is all worth it though because the holiday is an excuse to dress up in nice, new clothes and show them off to your family and friends. I had a beautiful new pink and blue, ornately decorated taille-basse for the holiday. The holiday of Korite was celebrated on a Tuesday and I not only had one celebration that week but two! I had three new boubous made for one week! The Saturday, I tied the knot with my finacé of two years, Samba Drame. I had my hair done up nicely and had two beautiful dresses to sport for the day. This was my second dress of the day, a beautiful white traditional dress made for me by my amazing brother-in-law, Ibreau Mbow. It was not only a beautiful day shared by many family and friends but my Zidisha friends were able to spend the day with me as well! 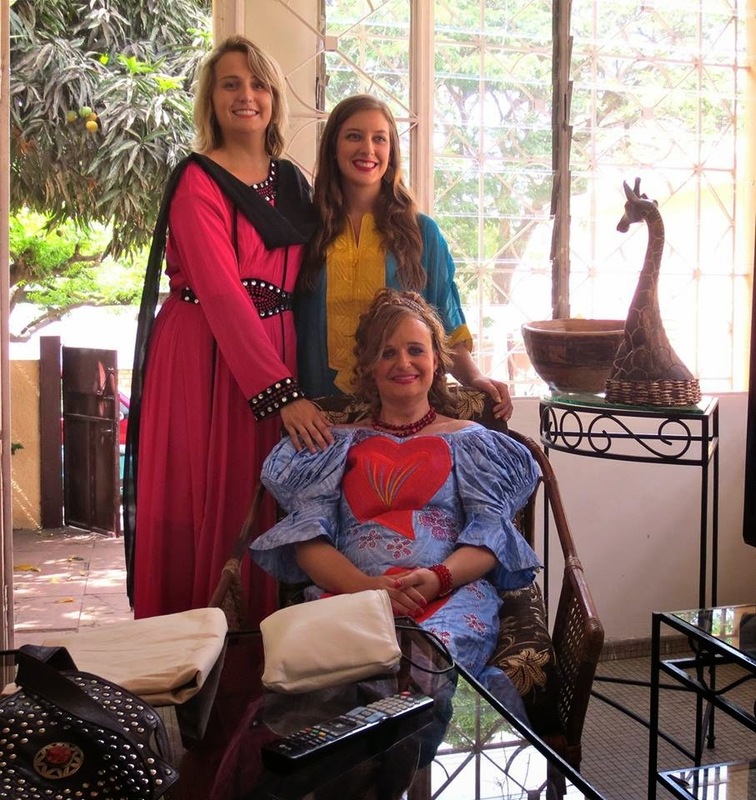 Below is the picture is me, Erin Eagan, and Miriam Frost, three Zidisha Client Relationship Mangers in Dakar during summer 2014. One of the overarching goals of my summer was to bring on board new members to Zidisha in Dakar. I may say I did not expect to have the reception I did. There is opportunity on every corner, and even sometimes two or three in the same household. The last few weeks we have been able to successfully add two new clients that were in the same household. 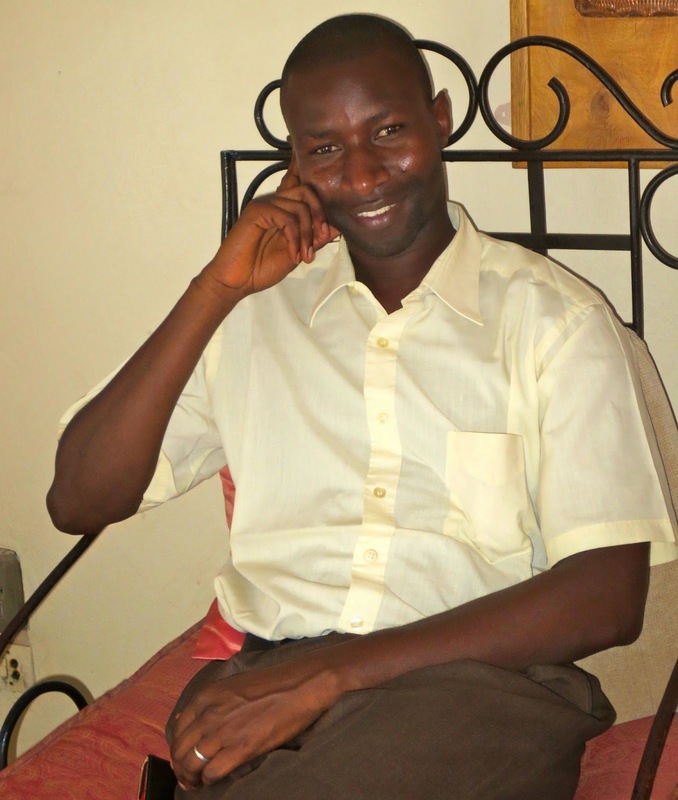 Alioune is a young Senegalese man searching for the means to begin his small business. He wishes to use his first loan to do some work on the already existing hen house where he lives. 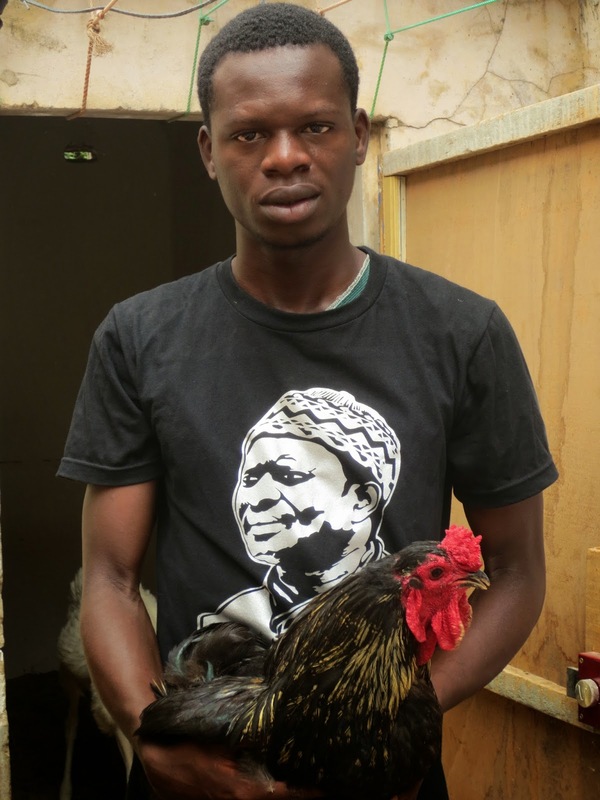 He will be able to raise hens that he can sell in Dakar for families to eat. 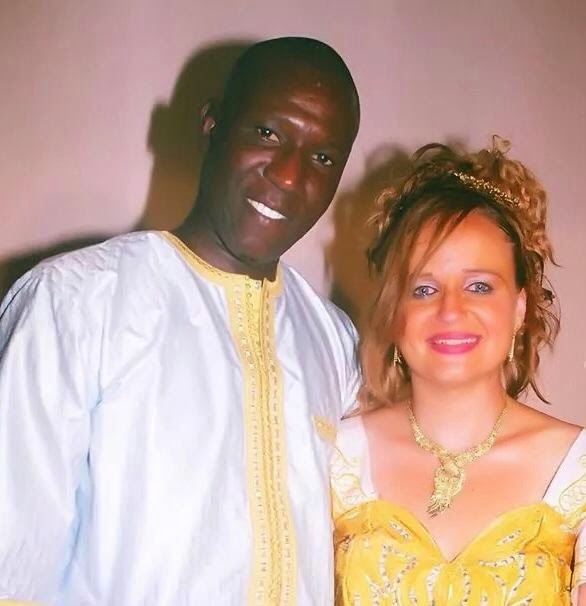 Khady and Alioune actually live in the same household! Her business is a little different, focusing on selling palm oil. Palm oil in Senegal actually comes from the south eastern region known as the Casamance. It is important in cooking and in many other household uses in the Dakar region. 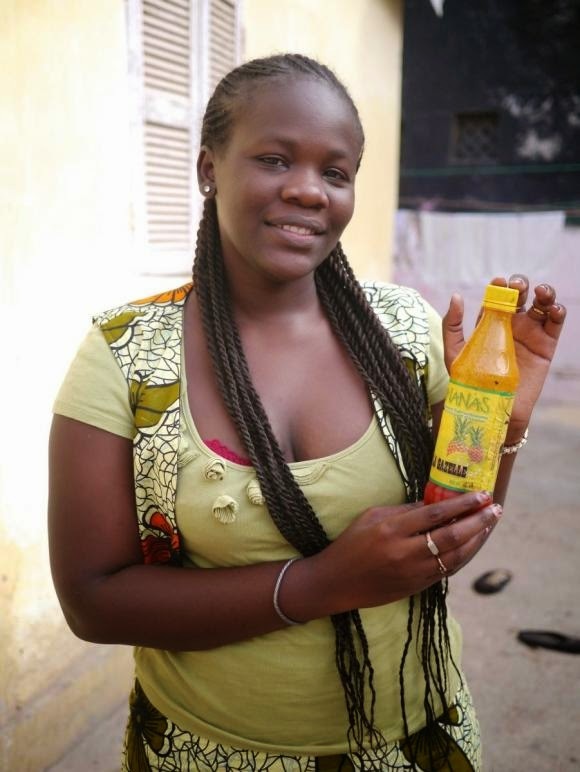 Khady will use her first loan to purchase bottles in order to bottle the oil for redistribution. This week I had the pleasure of meeting with Youssoupha Samb to discuss his business. This was not the first time I had met Youssou so I already knew of his outgoing and charismatic personality. Passionate for transportation our conversations ranged from local agriculture to the problems with large scale transportation operations in Senegal. Youssou has completed his first loan with Zidisha and is currently seeking his second loan with us. He works full time with the SEM Fund, an American NGO in Dakar, as a manager of logistics and will be continuing his studies commencing in this January in business. The SEM Fund and Zidisha have a close history in Dakar as the SEM Fund was our first local field partner. Youssou remembers these days nostalgically: "I was the one that cut the checks for other Zidisha entrepreneurs!" As he encountered Zidisha at his place of work, Youssou decided to try his hand at starting his own business. A friend taught him urban agricultural techniques, Youssou started his own garden at home lettuce which he sold to local restaurants. During the months from July to mid-October Senegal is plagued with heavy rains, destroying local livestock and vegetation. Unfortunately lasts years rain was extremely heavy, causing Youssou to lose most of his produce. He was thankful he had his job at SEM Fund so he could pay-off his loan. Even though his first project did not work out, Youssou was not discouraged. He and another family member are commencing another project. Sweet, tropical juices are popular with the Senegalese but most made locally contain a lot of sugar. Overconsumption is creating a rise in diabetes in Senegal. Youssou sees this as an opportunity to create a healthier alternative. He has been pressing juices at home, and with recommendations and critiques by family members and friends he has created several recipes that contain less sugar. Overstocking his family refrigerator, his family does not have adequate space to store food. He is applying for a second loan to help purchase his own refrigerator and finish up the labeling on his products. I had a pleasant visit with Youssou this week and I can't wait to see the progress of his business! A few weeks ago Miriam and I had the chance to meet with borrower Mme. Yacine Moustapha Gueye in her market shop. Mme. Gueye is currently on her third loan with Zidisha. 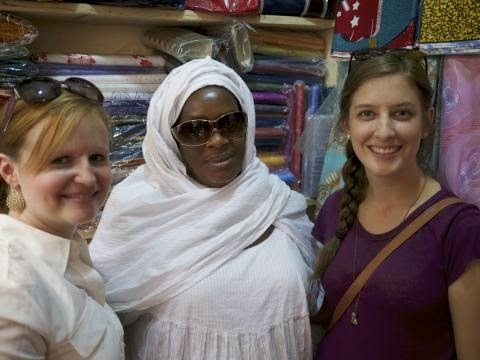 She uses the money from her Zidisha loans to purchase and import fabrics from Mauritania. 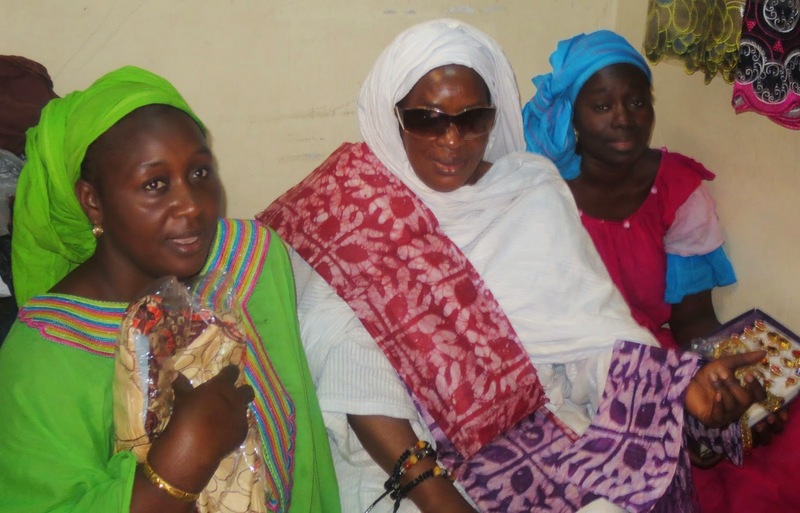 Her third loan actually enabled her to travel to Mauritania herself to select her fabrics. 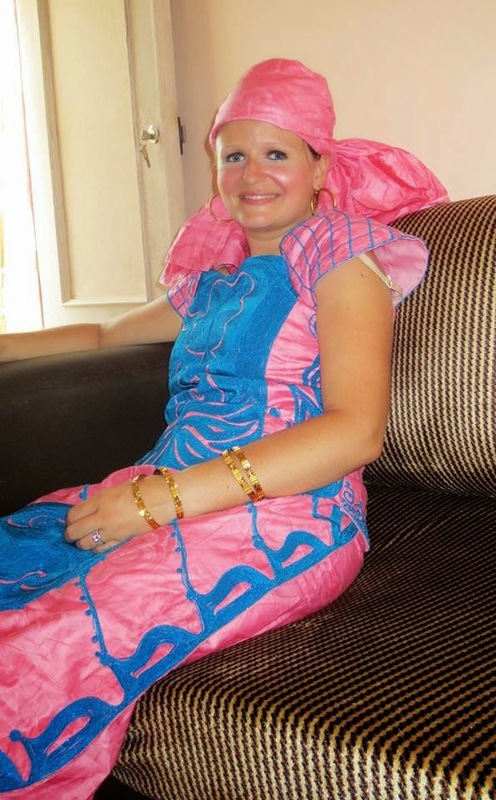 Dress is very important to Senegalese culture. 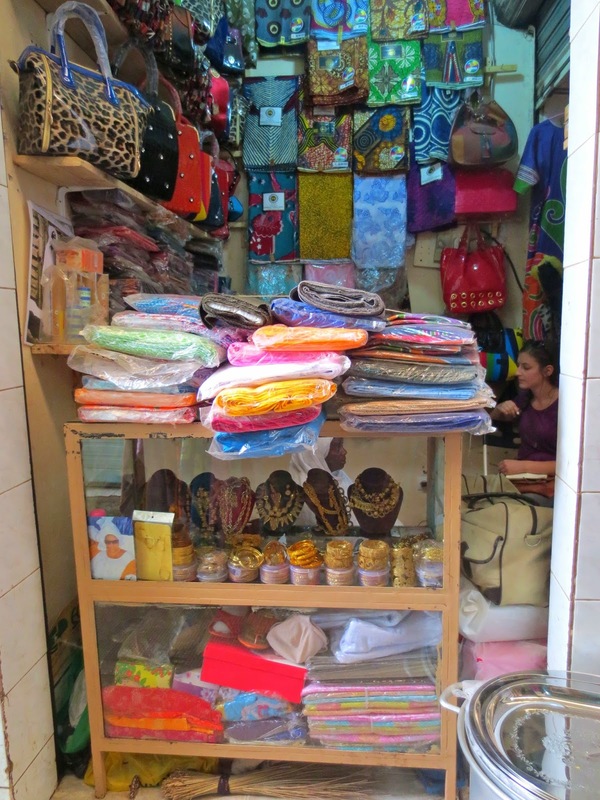 Women are adorned daily from head to toe in brightly colored fabrics so there is a large market for products like what Yacine sells. Women will buy the fabric at the market and then take it to their local tailor to have them sew their boubou exactly to their design. Yacine does not just sell fabrics but she imports jewelry from France and India for resale. 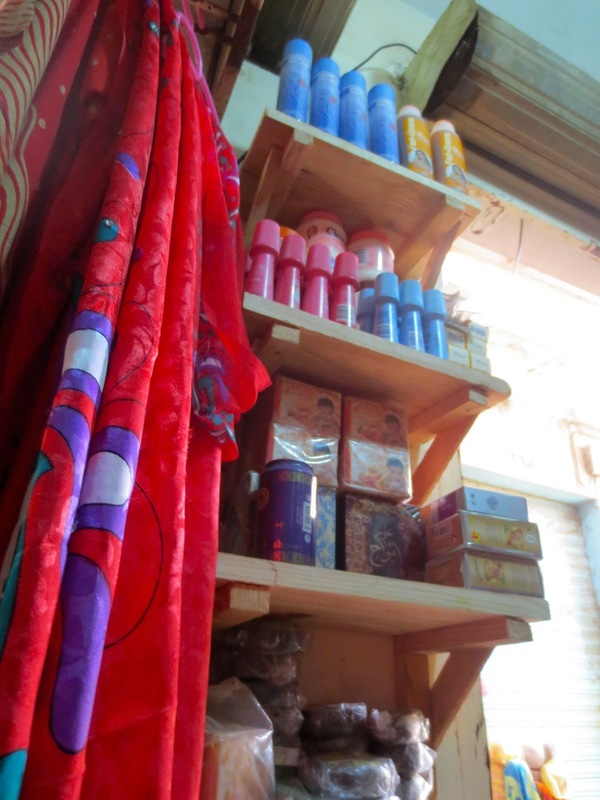 In addition she sells soaps and other fragrances. Yacine is a strong and outgoing woman, and she thanked us multiple times for not only increasing her revenue but for helping African women with micro-lending. As many other Zidisha members Mme. Gueye is no different in the fact she is already planning what to do with her future Zidisha loans. She hopes in the future she can travel again to purchase more fabric as well as move into a larger shop in the Parcelles Assaines market. Yacine and friends posing with several fabrics in her market stall in Parcelles Assaines. Photo credit goes to my colleague Miriam! This photo turned out so well I could not help but want to share it! I had the pleasure of meeting with Mr. Cheikh Mountaga Sall, who also goes by Babacar. He is a relatively new member here at Zidisha, only receiving his first loan in March. But he has quickly seen the benefits of Zidisha loans. He has recently joined Zidisha as Coach Bénévole and recommended Zidisha to several members in his community. Mr. Sall has been in his current business now for over a year, commencing activities in April 2013. He imports cosmetic products directly from the United States for resale in his neighborhood. He buys products such as Dove soap, Crest and Colgate toothpastes, Listerine mouth wash, perfumes, and other American products. He orders one or two boxes of products each month, and he averages between 60,000 XOF to 75,000 XOF profit on each box. The revenue is then directed towards family expenditures or reinvested in his business. Right now Mr. Sall sells his products from home or goes to clients' houses. Even though his activities are currently small in scale, Mr. Sall dreams to one day be able to fill a large boutique with products. He knows there is a large demand for high-quality American products, and the revenue from his boutique would allow him to invest in other revenue-generating activities as well. "I want to be like Bill Gates. I want to be the big man in the world," said Mr. Sall. Solidarity and community are important aspects of Senegalese culture. Everything from food to drinking cups are shared among family members and strangers. It is also not uncommon to find many members of the family living in one household. Money is also not kept for oneself but is shared among the family. For this reason, Mr. Sall stated that he often sells his products on credit, asking his customers to pay two weeks after he distributes his goods. Mr. Sall is very passionate about his business and has great ambition. He enjoys greatly what he does because he has been able to apply his university studies in his work. It has also enabled him to remain autonomous, not having to work for someone else. I had a pleasant visit today with Mr. Sall, and I only hope I have the pleasure to return to see the progress of his activities. It is true that Zidisha's loans start off small. What can we say, we are a community based in confidence. If you repay your loan on time, your loan size will grow progressiely with each loan. Over the course of the last three days, I have had the opportunity to witness the beginning of financement for three entrepreneur's existing businesses. Pauline Carvalho has a small hairdressing salon in front of her home close to Sicap Rue 10, Dakar. She is the hardworking mother of five children. She is asking for a loan to expand her already existing salon by adding more cosmetics to create more revenue. Her future plans include expanding her salon to be able to employ other hairdressers in her salon. Ndeye Arame Gueye is the daughter of Pauline. 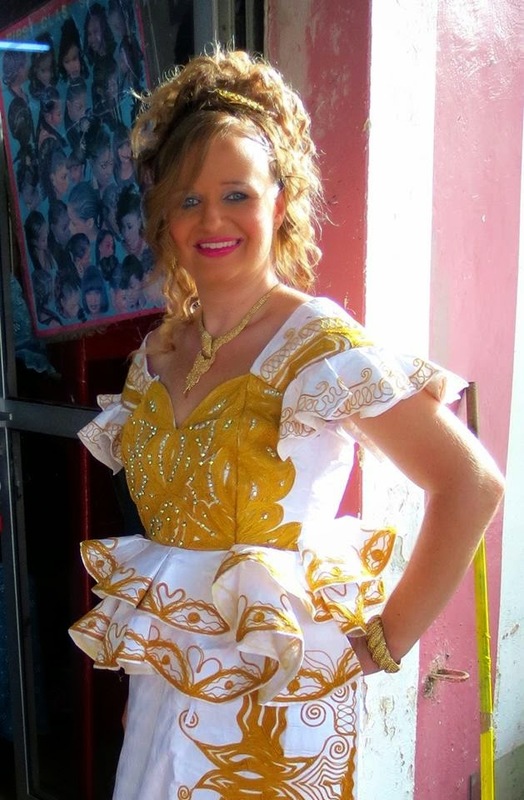 She started her tailor business just a little over a year ago, during April 2013. She works currently for local cell phone company but started her own business in order to gain independence. Even though now her shop is at home, she has big plans not only to have her own boutique one day but she wishes to travel nationally and internationally to model her clothing designs. Cheikh Gueye has had his business in computers for over five years. He sells new and used cell phones as well as repairs computers. Yesterday we met with him in his in-home office to complete his profile and post his loan application. One day, he wishes to have his own space for his business and hopes to create employment for others as well. I am thankful that I have had the opportunity to meet with so many different entrepreneurs . It is truly inspirational to see their determination and their ambition to make their dreams into a reality. I only hope I have the chance one day to return and see how their businesses have progressed.